You are looking for someone who is going to provide your home with hot water by setting you up with a tankless water heater. You are trying to find someone who knows how to get such a heater set up in your home. You don't have the slightest clue what needs to take place to get the water heated in your home, and you know that you need to find a company that is run by those who do know what to do and who will handle things correctly. 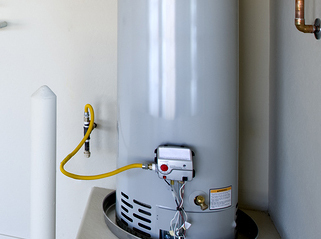 We know how to handle your water heater needs in San Tan Valley, AZ. We understand the work that we must do to help you get set up with the hot water that you need in your home. You are seeking someone who will help you have hot water in your home, and you want to find someone who will work in a neat and tidy way. You want to find someone who will clean up when they are finished and who will not cause any damage to your home. You are looking for those who will treat your home well as they work in it. When you trust us for your tankless water heater needs, you can know that we will handle things in a way that is neat and tidy and respectful of your home. It is important that you always receive help from companies that care enough about you to treat you fairly. You need to rely on those who will treat you well when it comes to the bill that they give you for the services that they provided. When you trust our tankless water heater services in San Tan Valley, AZ, we will treat you right. We will provide you with all the help that you need, and we will work hard to keep the costs of our services low.